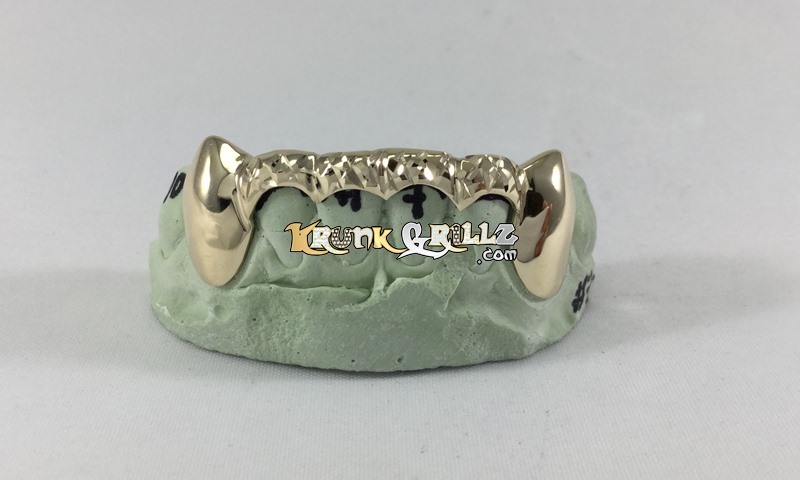 This custom gold grill was made popular by Beyonce, covering the fangs and just the tips of the teeth with a gold bar. 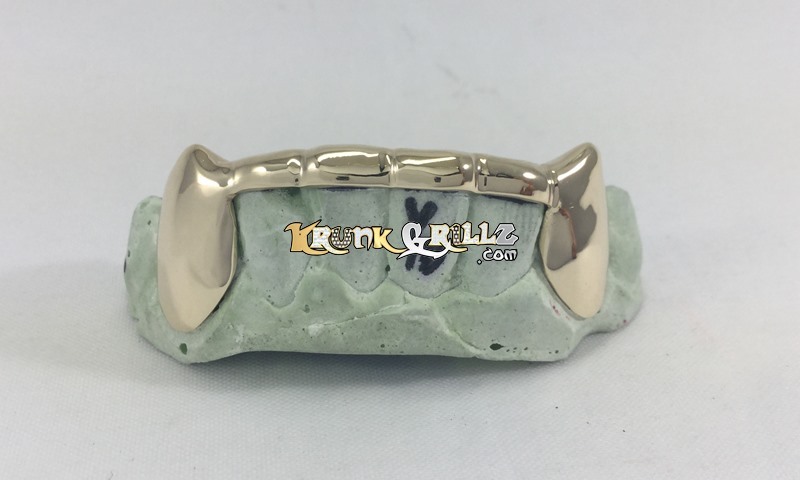 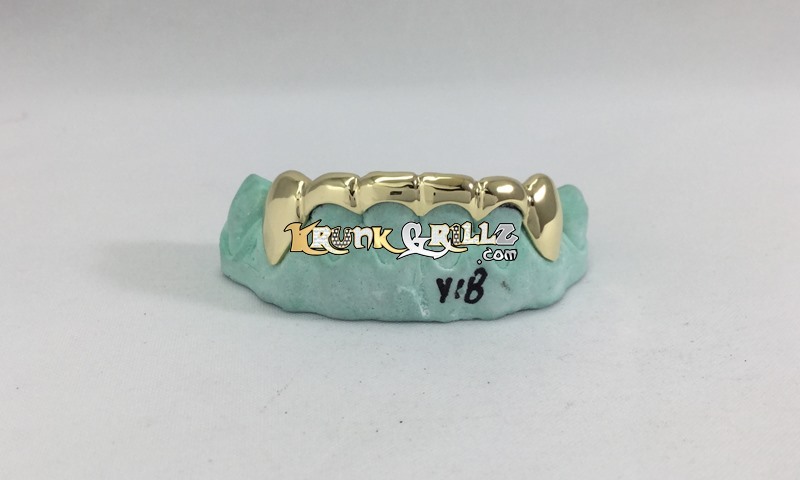 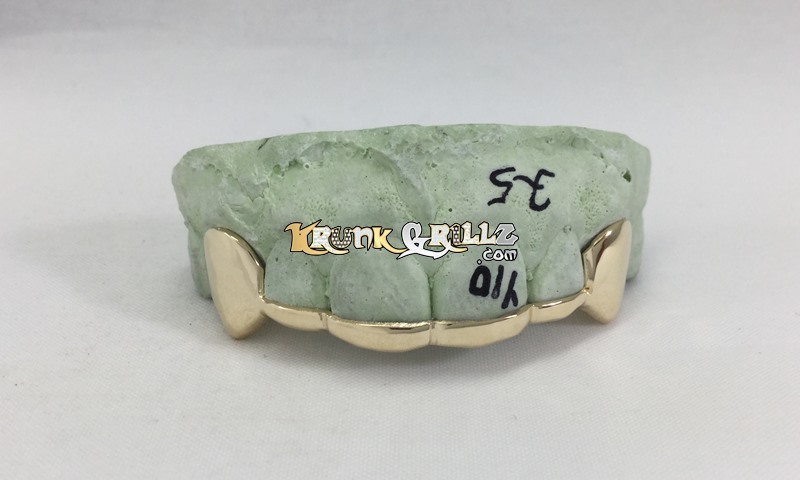 These gold grillz shine bright and keep a sophisticated, yet classy look. 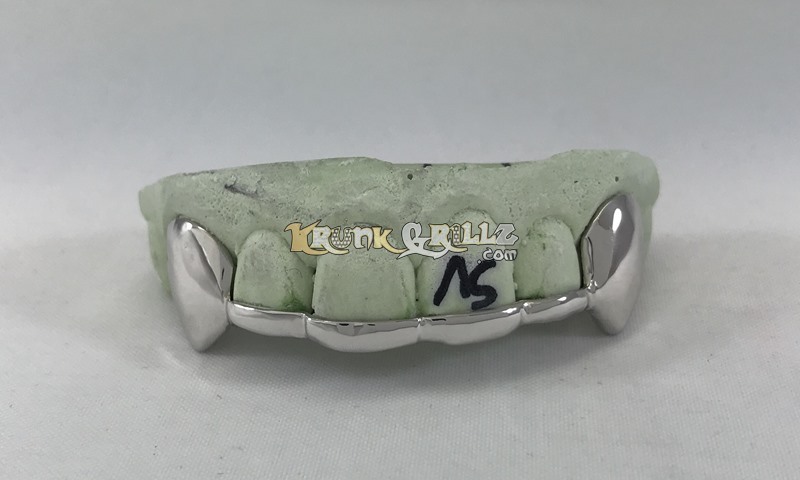 This style requires a minimum of 6 teeth. 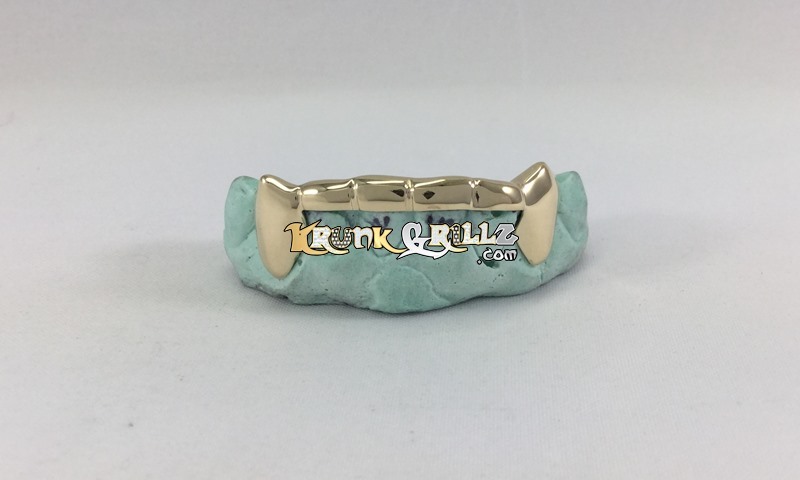 If you want more than 6 teeth, please contact us.